The Ministry of Caring holds many events for the community in and around Wilmington, Delaware every year. Be sure to check out our Partnership Events too! 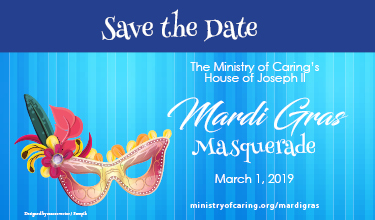 The Ministry of Caring will host Mardi Gras Masquerade on Friday, March 1, 2019 at the Francis X. Norton Center at 6:00 p.m. Join us for an exciting and fun evening with New Orleans cuisine by Chef Bill Bradley and live music by Box Turtle Bob and The Original Chesapeake Bayou Brothers. 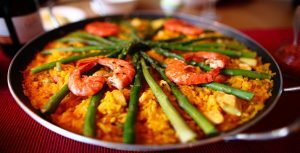 Each month, from January through October, the Emmanuel Dining Room hosts a lively gathering of guests who come as much for the easy camaraderie as for the delights inspired by the fare of selected foreign countries. Join the Ministry of Caring Millennials for our third annual Crab Fest! What a wonderful and delightful way to support our Child Care Centers: by enjoying an evening of crabs, other delicious foods of summer, and live entertainment! The Eleganza Fashion Show is presented by the Ministry of Caring Guild and benefits our emergency shelters and Job Placement Center. 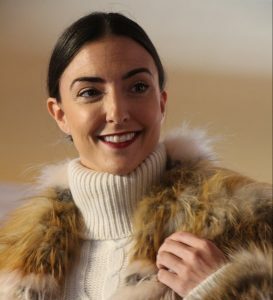 Our 2018 show will feature a presentation of fabulous contemporary fashion from Kirna Zabête, a designer boutique by Beth Buccini. There will be a luncheon, live auction, prize drawings, and more at one of the MOC’s most highly anticipated events of the year. This is EDR’s major fundraiser, which supports one-third of the dining room’s annual budget. The feature event of the Auction is the drawing of our Grand Raffle, awarding three prizes: $10,000, $2,000, and $1,000. Every January, The Ministry of Caring hosts our Annual Recognition Banquet to honor a few of our most active, long-standing supporters — people who made serving vulnerable members of society a priority in their lives. Jingle Bell Brunch — the Ministry of Caring’s first annual holiday music festival for our childcare programs — is the perfect way to start off your family holidays! Proceeds from Jingle Bell Brunch help fund childcare services. 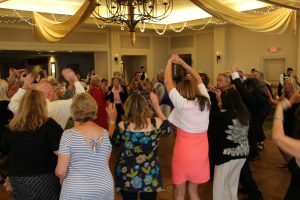 Join the Ministry of Caring Guild for a special Ovation Dinner Theatre benefit performance at the Rehoboth Beach Country Club! Includes show & gourmet three-course dinner.